Organic fennel with a strong, clear aniseed flavour that adds an extra dimension in the kitchen. 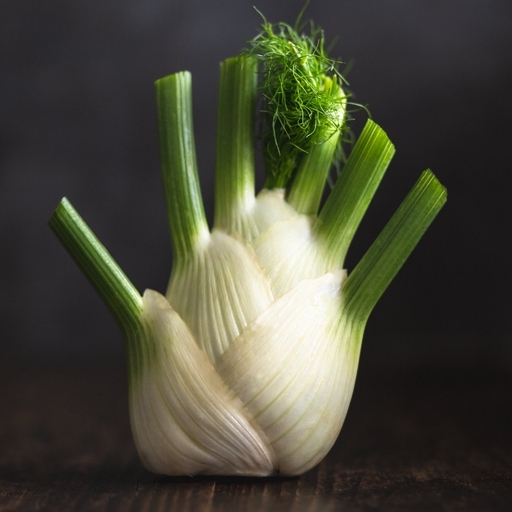 It’s so delectable that the local rabbit populations often share our addiction – our growers’ ingenuity is stretched finding ways to defend the fennel harvest for your boxes. You can eat fennel raw or cooked. Raw, it’s fresh, crunchy and aniseedy – just slice into slivers and dress with zesty lemon and black pepper. Add blood orange, black olives or ribbons or raw asparagus for additional luxury. Cooked, fennel turns gorgeously soft, sweet and mellow. Roast in wedges or slow cook in olive oil until tender. Delivered from our farm, so wash before cooking. Best kept in the fridge, cut off leaves if not planning to eat them. The UK season is from July to October and we occasionally import at other times of the year to keep the boxes interesting.